It's the start of a new year, and that means all the drama, suspense, beauty and fashion that captivated viewers and listeners in 2012 comes to life one more time during awards season. Over the next two jam-packed months, critics, fans and industry heavyweights will make their picks for the best of arts and entertainment of the past year. Awards season kicks off this year with the People's Choice Awards and rolls straight on through to the Academy Awards in the end of February. Check out the full list of events below. The awards show picked by fans, the People's Choice Awards leads awards season 2013 with the best in movies, television and music. This is the only awards show that gives power to the people, and features an extensive list of catagories, including Favorite Action Movie, Favorite On-Screen Chemistry and Favorite TV Fan Following. The show airs on CBS at 9 p.m. ET. The Broadcast Film Critics Association honors their picks of the best films and television shows of the past year. "Lincoln" leads the nominees with a record 13 nominations -- including Best Picture, Best Actor (Daniel Day Lewis), and best director (Steven Spielberg). The Critics Choice Awards airs on The CW. The 70th annual Golden Globe Awards is the first marquee awards show of 2013. The show, put on by the Hollywood Foreign Press Association, is considered by many to be a good indicator of which films and actors may take home Oscars. But the HFPA is also known for its sometimes unusual taste. The Golden Globes airs on NBC at 8 p. m. ET. The awards show that is by actors, for actors. The SAG awards is the only award show to focus exclusively on performers. It is an exciting glimpse into the minds of working actors as to who they think the real stars are. The SAG awards will air on TNT and TBS at 8 p.m. ET. The Directors Guild of America will honor the best work behind the camera at the annual DGA Awards. The awards show will feature Hollywood titans like Steven Spielberg (Lincoln), who is up for his 11th DGA award. But it will also highlight up-and-comers like Kathryn Bigelow (Zero Dark Thirty), who won the award three years ago with "The Hurt Locker," as well as Ben Affleck's first ever nomination for "Argo." Music's biggest night brings together artists from wildly varying genres as they compete for a golden Gramophone trophy. Flashy finery and showstopping performances are always to be expected, with multi-nominated acts Black Keys and fun. among those scheduled to take the Grammy stage this year. The 55th annual Grammy Awards are set to air on CBS. The men and women whose words give film and television life honor their favorites of 2012 at the annual Writers Guild Awards. "Zero Dark Thirty" and "Lincoln" are up for awards, as well as some movies that haven't been nominated as often in other awards programs, including "Flight" and "Looper" for Best Original Screenplay. The scruffy, artsy outsider of awards season is the annual Spirit Awards. This show looks exclusively at "indie" projects and has guidelines to help focus its nominating members. One particular guideline is that movies must have a budget under $20 million to qualify. David O. Russell's mental illness love story "Silver Linings Playbook" and Wes Anderson's quirky coming-of-age comedy "Moonrise Kingdom" lead the pack with five nominations each. The Spirit Awards will air on IFC at 10 p.m. ET. The granddaddy of all awards shows, the Oscars are the highest accolades Hollywood bestows. 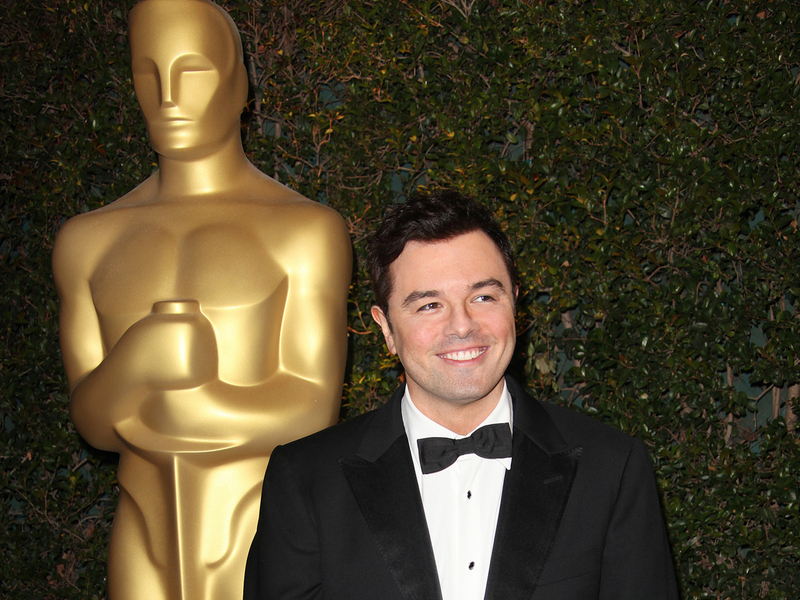 The 85th annual Academy Awards will air on ABC at 7 p.m. ET.